Very few riders — beginner or advanced — use the ratchet pedal as much as they should. Many beginner and novice riders have issues with pedal strikes — on rocks, logs, etc — while trying to pedal in technical terrain, especially on climbs. 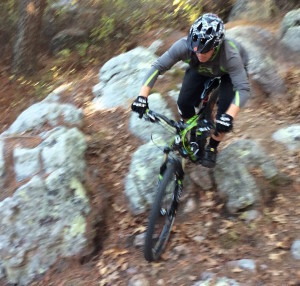 As we all know, it’s essential to keep forward momentum on tough steep climbs, but how do you keep pedaling without smacking your pedals on trail obstacles? Answer: the Ratchet Pedal. 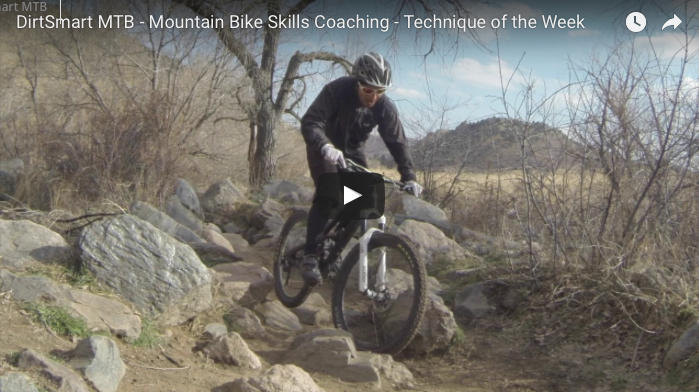 This technique is also great for advanced riders, and, again, is seldom used enough. Most advanced riders will naturally already use ratchet pedals when necessary while climbing, but very seldom do I see it used enough while descending in tough, steep terrain, when it is impossible to get in full pedal strokes. Check out the video. Work on this technique with each foot forward, both standing and seated.